Lady K. Run21 takes place on Sunday March 6th at Fairground Holdings in Gaborone. The start/finish line will be between Boipuso Hall and Ditshupo Hall. The race opens with the 21.1 km at 0600hrs, followed by the 10km at 0615hrs and 5km at 0800hrs. As the race is the official warm up event for the Diacore Gaborone Marathon, organisers are anticipating 1500 to 2000 runners. Lady Khama Charitable Trust Coordinator Rebecca Binns said that they would like to introduce the Wellness Arena, which should have as many gyms, clubs and health services in one place to showcase their products. “To show that you don’t just have to be a runner to keep fit or healthy, there are many other forms of exercise out there and the Lady K. RUN21 Wellness Arena, is the place to find out more”, she said. The Lady Khama Charitable Trust’s purpose is to help improve the lives of vulnerable women and children in Botswana. 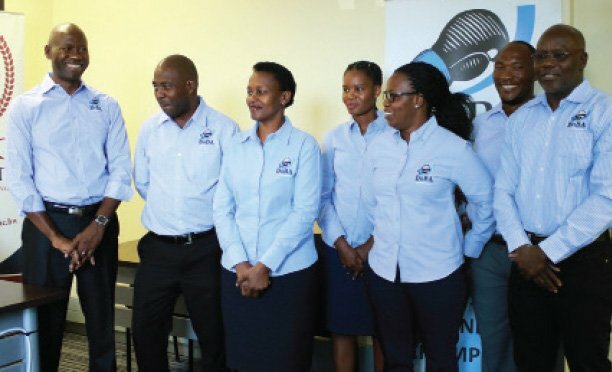 The Trust aims to achieve through charitable and educational activities in Botswana, and by raising and investing funds to support this mission. Speaking at the Lady K. RUN21 press briefing, the Lady Khama Charitable Trust Chairman Dale ter Haar said that the spirit of giving, with a special focus on vulnerable women and children is at the heart of the Lady Khama Charitable Trust’s mandate and fund raising activities. He said that the Trust has worked tirelessly from its founding in 2002 to have a strong impact in communities around the country. There are a number of critical stakeholders that play a role in helping us achieve this. The list includes the deserving charitable organisations and their staff who choose to devote themselves to help others, the donors who provide the funds or help in kind, the volunteers who assist us and of course the ever growing supporters and participants that grace our events with their presence. Without any of these stakeholders we would not be able to do what we do. To date we have donated just under P12 million and have assisted 40 charitable organisations in Botswana he said.